Newstalgia Reference Room - Michael Harrington: The Difference Between Socialism And Liberalism - 1970. Newstalgia Reference room with an interview for Harper's Magazine and their At Issue radio series with Socialist Michael Harrington discussing the differences between Socialism and Liberalism. From February 1970. As names and titles and ideologies become blurred and distorted in recent years, the old adage that if you repeat a lie over and over enough times it winds up becoming fact certainly rings true where the subject of Socialism pops up. The tendency of our media and our friends on the right wing side of the spectrum to paint Liberals with the same brush as Socialists is one of those stereotypes that just ain't so. From the same batch of interviews that gave us Saul Alinsky earlier this week, I also ran across an interview recorded two weeks later, also for Harper's Magazine and their weekly radio program At Issue, with Michael Harrington. 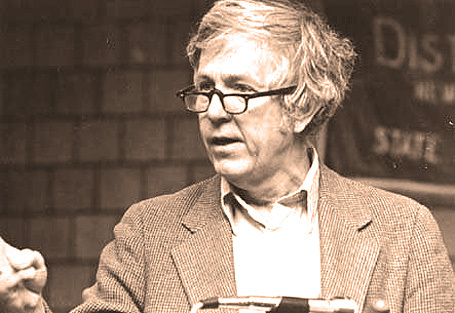 A name not mentioned much these days, Michael Harrington was an American Socialist, political activist and Political Science Professor who was also founder of the Democratic Socialists Of America. A writer of several books, the most popular being The Other America: Poverty In The United States which came out in 1962. Since his death in 1989 he's been largely overlooked and mostly forgotten where discussions of political ideology are concerned. Too bad. Perhaps Harrington isn't as catchy a name as Alinsky. An insightful interview with more than the average number of eerie prophecies, particularly since the interview was conducted in February 1970.